What is the best kind of active seating? As in any situation, that all depends on your space and the people who regularly occupy it. 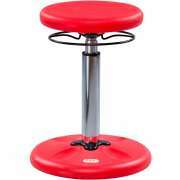 There are many different types of stools and chairs that allow you to move around throughout the day. These options are quickly replacing the classic office and school chairs, as people start realizing that everyone focuses better when they can also move at the same time. 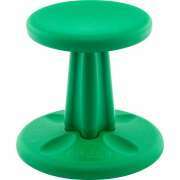 The great thing about ergonomic desk stools and wobble stools is that they allow professionals and students to do what they would normally do, just better. You can still sit and work at a regular desk or table, while enjoying all the benefits of these amazing seating alternatives. So whether you want to bounce, wobble or swivel your way through the day, we have some great options that you are sure to love. Active seating is an amazing alternative to classic office and school chairs. 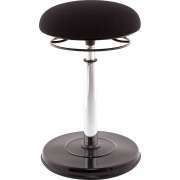 It includes a variety of options such as ball chairs and wobble stools. Each choice has its own distinct advantages, but all work based on the principle that movement is healthy. So rather than sitting in one stiff position for hours on end, day in and day out, you can keep the blood circulating and the brain juices flowing. By being actively engaged throughout the day in constant subtle motion, you will likely be able to focus better on the task at hand. 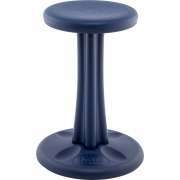 What kind of balance stools can you use in an office? Any office that is up-to-date will have some people taking advantage of active seating. 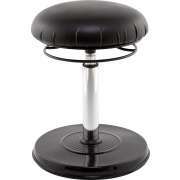 Ergonomic desk stools work well with classic desk heights as well as standing desks. 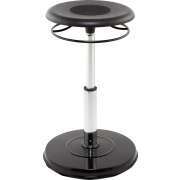 Some have adjustable height so they can be used with various work surfaces. It’s easy to become stagnant when you are sitting in the same exact position all day. However, when you are pivoting, rotating and tilting on a stool, you are much more likely to stay alert and engaged in the day’s work. 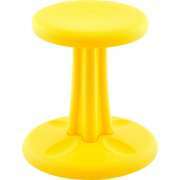 What kind of wobble chairs can be used in a classroom? 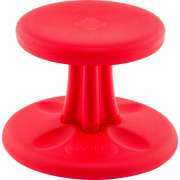 Kore wobble chairs are the perfect seats for any classroom because they come in a variety of sizes and colors. You can get a great fit for any students from toddlers to teenagers. These are great seats for lounges, libraries and collaborative learning areas, as well as more traditional classroom setups. You don’t have to completely change your style to get the benefits of movement. A gently rounded bottom allows for constant movement, while students are still seated nicely in the classroom, at their desks. Kids are naturally fidgety, and it’s healthy for them to move around throughout the day, even while they are learning in a classroom. An exercise ball chair is made up of a base that supports an exercise ball, covered in attractive upholstery. The contoured shape has a distinctly modern appeal, as well as an inviting look. The ball provides a healthy bounce throughout the day, whether you are sitting through meetings, learning something new, or ploughing through the day’s tasks at your desk. The plucky, peppy, ergonomic design will bring your work or learning space into the 21st century. Upholstery made from durable, low-maintenance materials, is convenient wherever you have it. When it comes to choosing seating for the classroom or office, don’t settle for the classics, choose some modern active seating that keeps you moving. As you wobble, twist and glide through the day, you will be happy that you can still move around while accomplishing whatever work you need to do. 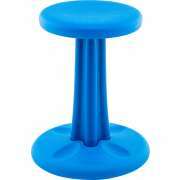 Whether you choose a balance stool, ball chair or wobble stool, the increased focus and fun design is sure to enhance your experience on a daily basis.